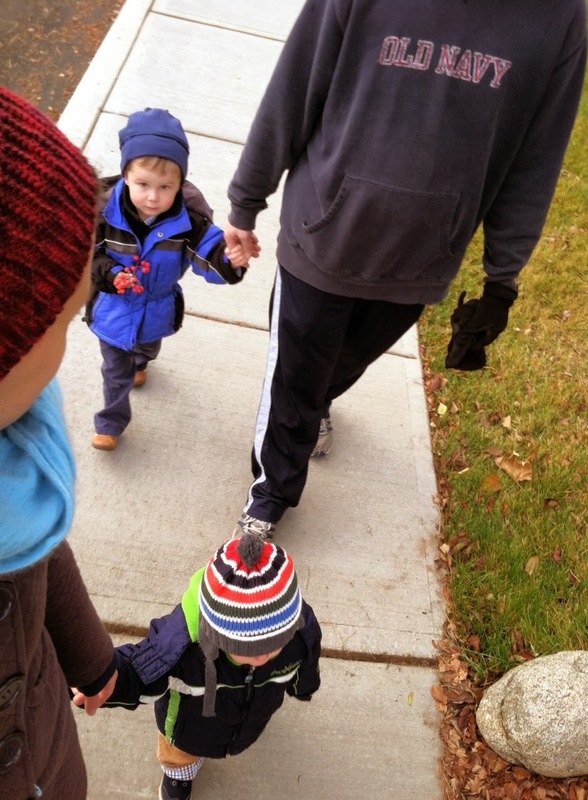 On a cold walk this weekend, Joe picked up a little branch of red berries. He carried it home with all the solemnity of a nervous ring bearer. He refused to walk any faster than a slow march, saying "I won't shake the berries. They'll fall off. I'm saving them for the birds to eat." You cling to that color, honey. In this part of the country, color's hard to find these days. The brilliantly colored leaves we marveled at in October now populate the gutters and streets, all trampled and brown. Pumpkins on porches have begun to rot. I even saw a few depressing streams of fake cobwebs still hanging around the neighborhood. So until the visiting family and frantic (and fun) food prep of Thanksgiving begins, we're ignoring that mostly-dreary outdoors and scouting out the bright patches of red that splash a little color into drab mid-November. I love this red head wrap/ear warmer a dear friend made me for my birthday. I feel like I'm channeling Rosie the Riveter when I wear it, if Rosie ever riveted in the tundra. Good thing I'm the only one in my family who knows some French. Otherwise they'd all know I had a Christmas pillow out before Advent began. But since it says "Il neige ici," and it did "neige" here last week, I'm letting the charming cardinal stay. I know, I know, I must quit this red-40 crap. But cinnamon bears and I are in a long-term relationship. 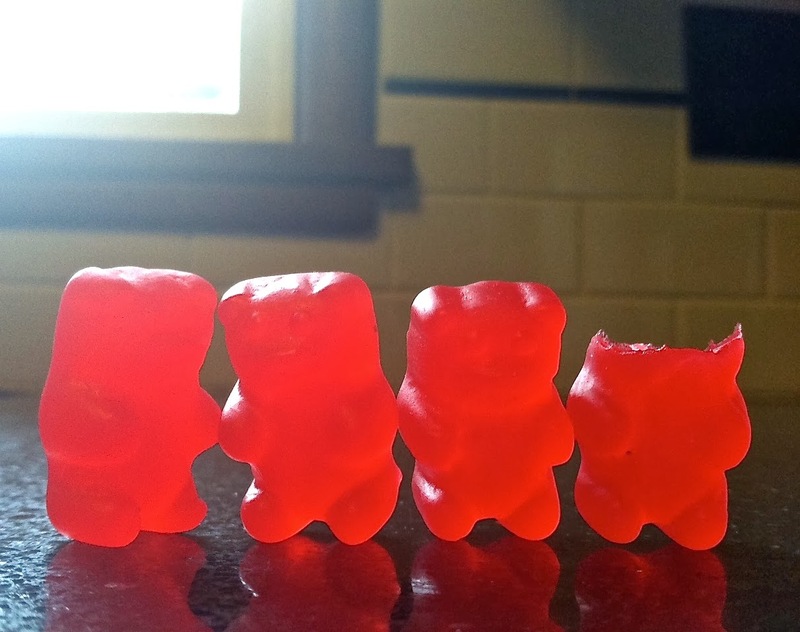 We began so many years ago, when I'd spend November Sundays watching football with my Dad, opening up the Brach's cinnamon bears that came in individual little plastic wrappers. I found them again during college, when my bestie and I would buy them by the pound in the bulk section of a local grocery store. High fructose corn syrup at its sentimental finest. ... even in the midst of all this manufactured redness, Joseph himself is often the brightest patch of red in my day. 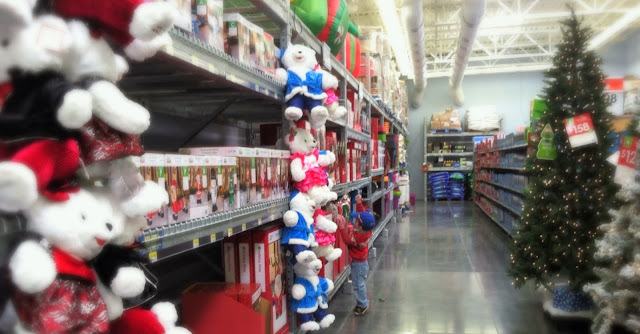 3. if he could go up to their door and tell them trick or treat. I don't even think he wanted candy. He just thinks that's how to greet his neighbors. Knock, Knock, Who's There? 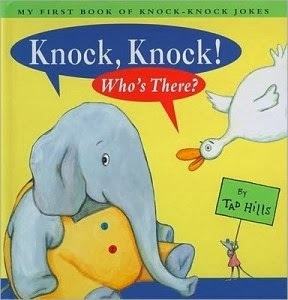 (My First Book of Knock-Knock Jokes) by Tad Hills, 2000. Joseph's introduction to the knock-knock joke. Cue the hysterical cackles and snorts. Hills' How Rocket Learned to Read is another don't-miss. 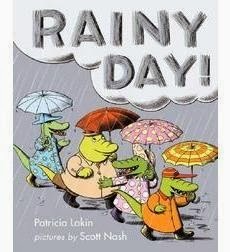 Rainy Day by Patricia Lakin, 2007. Crocodiles Sam, Pam, Will and Jill travel their city in search of adventure and end up in the library. Besides a bit about hail the size of a softball, it's a lot of rhyming fun. Bedtime for Frances by Russell Hoban, 1960. 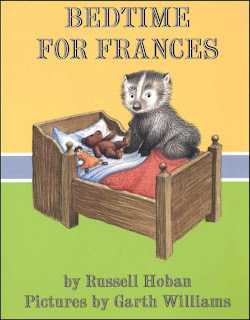 Just like Harold last week, I can't believe we haven't checked out a Frances book before. Frances' curiosity and mild bedtime worries pair sweetly with her parents' assurance that she's just fine and should really go to bed. A pleasure to read. Joe and I chuckled together when she gets up for the third time and finds her parents watching television and eating cake. 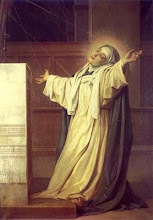 Head on over to the Time Warp Wife for other domestic encouragement. 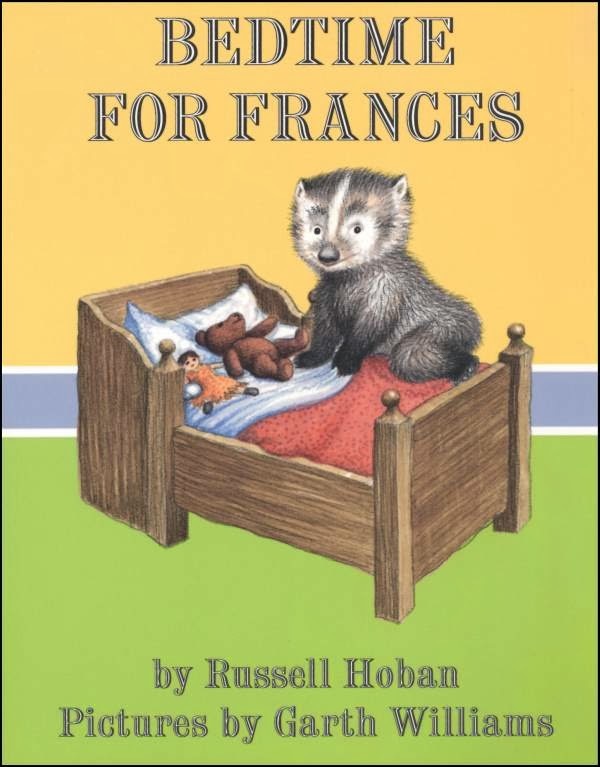 the Frances books were some of my favorites as a child! I'd almost forgotten about them, thank you for the walk down memory lane.